For more than a century, the towers of the Trappist Abbey of O.L.V. Koningshoeven have formed a significant element in the landscape east of Tilburg (The Netherlands). In 1880, Dom Dominicus Lacaes, abbot of the Trappist monastery Sainte-Marie-du-Mont on Mont-des-Cats in northern France, became concerned about the fate of his monks. At that time, antichurch legislation threatened the existence of French monasteries and the future didn’t look so rosy. The monks of Mont-des-Cats were prepared for the fact that they would soon have to leave France. Actually, it never reached that point, but the situation did become so disturbing that the abbot decided to send one of his monks, Sebastian Wyart, in search of a place of refuge outside the country. Wyart chose The Netherlands, a country which offered hospitality to persecuted religious. He found just what he was looking for in the area around Tilburg, near the little town of Berkel-Enschot: an area of open heath with several small farmhouses and a sheepfold. The local people called this area 'Koningshoeven' (The King’s Farmhouses) since these had once been owned by King William II. The sheepfold was converted into a temporary monastery and on March 5, 1881, the first Eucharist was celebrated in Koningshoeven, thus making the establishment of the first Cistercian monastery in The Netherlands since the Reformation a reality. Before the Reformation there had been numerous Cistercian abbeys in The Netherlands, primarily in the North, but the rise of Protestantism and the independence of the northern provinces in the sixteenth and seventeenth centuries brought an end to these monasteries. To earn their living, the monks began reclaiming and cultivating the poor land in Koningshoeven, but it soon became evident that the costs exceeded the profits. A solution had to be found, especially since more and more candidates for monastic life were requesting admission and the place of refuge became a permanent foundation. When it reached the point that the farm couldn’t provide for the most basic necessities of life, the superior, Nivard Schweykart, decided to start a small brewery. 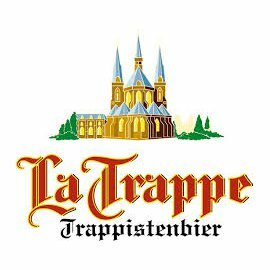 This would be the beginning of the Trappist brewery and, to this very day, it is the most important source of income for the monastery. The younger group of 16 who now live at the Abbey are aged between 24 and 81 years.